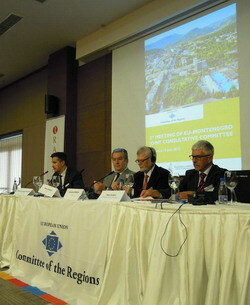 5 June 2013 – The Joint Consultative Committee (JCC) between the Committee of the Regions (CoR) and Montenegrin local authorities held its second meeting in Podgorica, Montenegro, on 4 June 2013. The meeting focused on two key issues faced by Montenegro’s local authorities in the country’s course towards EU integration: absorption capacity of EU Pre-Accession funds and waste management. The JCC aims at contributing to the EU enlargement process through a large-scale involvement of Montenegro’s local authorities. Introducing the meeting, Miomir Mugoša, Mayor of Podgorica and JCC co-chair, announced that the JCC meeting was one of the first EU events in Podgorica after the opening of the accession negotiations. The mayor emphasised the potential of the JCC to help Montenegrin municipalities become more active and visible in EU affairs. Stanisław Szwabski (PL/EA), Chairman of Gdynia City Council and co-chair of the JCC, spoke in his opening intervention of the need to maintain the credibility and the sincerenature of the enlargement process, which would require the essential involvement of citizens in the candidate countries. Mr Szwabski underlined that the JCC could help Montenegrin locally elected representatives in their task of communicating the EU to the citizens. Ambassador Aleksandar Adrija Pejović, State Secretary for European Integration and Chief Negotiator spoke of the role of local authorities in the accession process and emphasised that the negotiation teams were ready to receive and use the input from meetings of the JCC such as this one. Ambassador Mitja Drobnič, Head of the EU Delegation to Montenegro, referred in his keynote address to local government as milestones for functional democracy. He emphasised that municipalities were key partners in ensuring ballanced and harmonious development. JCC members held a first discussion on a joint report on “Increasing absorption capacity for EU pre-accession funds and improving administrative capacity at the local level in Montenegro” (rapporteurs: Witold Stępień (PL/EPP) and Aleksandar Bogdanović (ME)). The draft report reviews progress made by Montenegrin local authorities in the area and highlights the significant experience gained by Montenegrin municipalities in dealing with funds from the Instrument for Pre-Accession Assistance and for cross-border cooperation projects. It also provides a set of recommendations that include the need for practical training for local authorities’ staff and for initiatives to increase awareness at local level of EU funding opportunities and grant schemes. Peer-to-peer networking between local and regional authorities enabling the exchange of experiences and lessons learnt is also encouraged. The final report is due to be adopted at the JCC’s next meeting in November in Brussels. 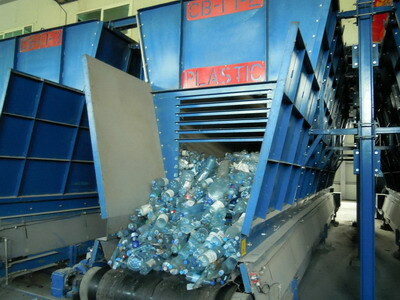 The second part of the meeting was devoted to environmental protection, in particular the issue of waste management. 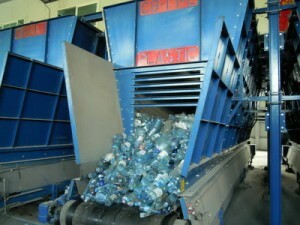 Waste management is a key priority for the Montenegrin Government in the course of the accession negotiations. The country indeed faces a number of challenges in transposing and implementing the EU environmental acquis in the field. This also holds true for the local level. JCC members acknowledged the fact that Montenegrin municipalities are key stakeholders in the implementation and delivery of waste management policies, an issue of crucial importance for their populations. Although the related negotiation chapter has not yet been opened, JCC members called for stepping up efforts in the sector while ensuring that municipalities play an active role in this process. As part of the debate, CoR member Michel Lebrun (BE/EPP) presented his views regarding the review of key EU waste targets, on the basis of a draft opinion to be adopted at the CoR July plenary session. The JCC aims to follow the enlargement process and the progress of the accession negotiations through debates in relation to key thematic priorities in the cities and regions of the EU and of Montenegro (e.g. energy, employment and social policy, regional policy and coordination of structural instruments, cross-border cooperation). It is composed of eight CoR members and an equal number of local representatives from the partner country. Meeting twice a year, the next JCC meeting will take place on 5 November 2013 in Brussels.